Later this month, the Detroit Red Wings will arrive at the 2018 NHL Draft in Dallas hoping to leave with a handful of future NHL contributors. 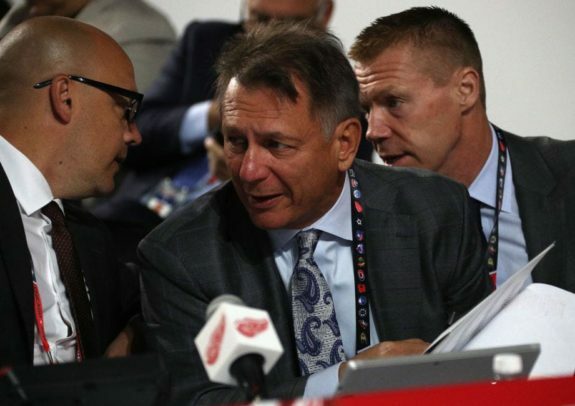 General manager Ken Holland and his staff will have spent hundreds of hours pouring over their draft board, hoping that their rankings will guide them to draft a few difference-makers. In all, the Red Wings possess 11 picks spread across the draft’s seven rounds. Through a few key trades, seven of those choices will come within the first 100 picks, including four in the top-36. As the Red Wings continue to rebuild, the 2018 NHL Draft presents an opportunity for the franchise to fast-forward its efforts. Adding high-quality prospects would significantly improve the state of the Red Wings’ prospect pipeline. Let’s take a look at the Red Wing’s potential strategy as part of the 2018 Red Wings Summer Rebuild Series. Assigned the sixth-overall selection, Detroit has not had this high a draft pick since taking Keith Primeau third overall in 1990. A defenseman would be a nice addition, but if one of the top two forwards drops to No. 6, it would be hard to pass on a true game-breaker. In the meantime, Holland will keep his draft cards close to his chest. Regardless of how he proceeds, the Red Wings stand to select a potential franchise cornerstone somewhere in the top ten picks. Lucky for Hockeytown, this year’s draft class is one of the best in years. Even better, Detroit has three picks in the 30-36 range. With these quality picks, he could take three defensemen, three forwards, a mix of both, or package a couple of picks to move up in the first round. Let’s say that the Red Wings take a defenseman early on. They would then have the opportunity to significantly bolster their blue line if the right players fall into that 30s range. 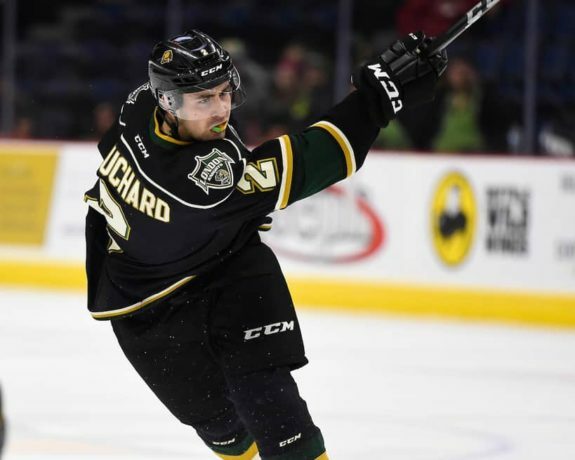 Imagine coming away from the draft with highly regarded prospect Evan Bouchard, the polarizing Ryan Merkley, plus underrated Jonny Tychonick and adding them to a group that already includes Dennis Cholowski, Filip Hronek, Vili Saarijarvi, and Joe Hicketts. Holland and the Red Wings could also decide to take a couple of forwards with those picks. It’s possible that Akil Thomas, Ty Dellandrea, and Serron Noel will be available for the choosing. Another option to consider is using one of these picks as a way to shed a hefty contract. Teams like the Nashville Predators, Boston Bruins, Pittsburgh Penguins, and Vegas Golden Knights do not have a first-round choice in this year’s draft. 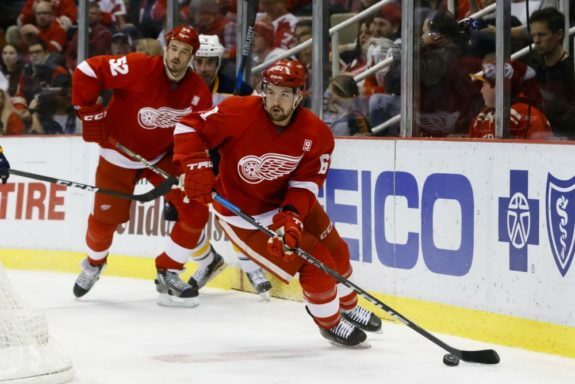 Perhaps one of them will consider moving their own late-second-round pick in exchange for one of Detroit’s three 30-36 picks plus Jonathan Ericsson or Danny DeKeyser, provided that those players are willing to waive their no-trade clauses. 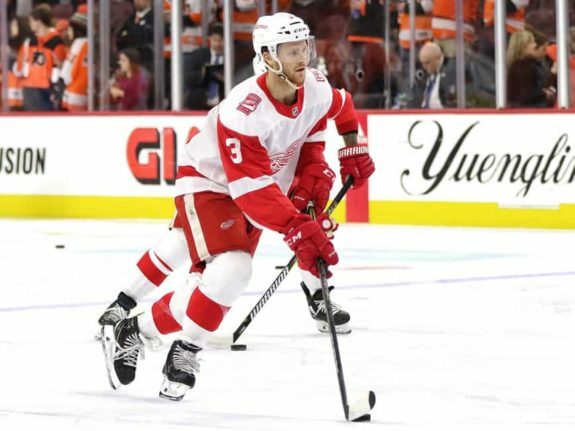 The Red Wings would move back about 20 selections, but also open up a roster spot for a prospect, while their trade partner would come away with a quality first-round pick. Moving onto the third round, Holland will have three selections to play with here as well. Last year, the Red Wings had four third-round picks and opted to choose two forwards (Zach Gallant and Lane Zablocki), a defenseman (Kasper Kotkansalo), and a goaltender (Keith Petruzzelli). This year, Holland could once again diversify his choices as the draft begins to open up. Since the 2018 class does not have very many standout goalies, Holland could opt to take one of the top few netminders in the third round. It never hurts to have too many goalies, especially when your organization has had trouble developing them in the past. 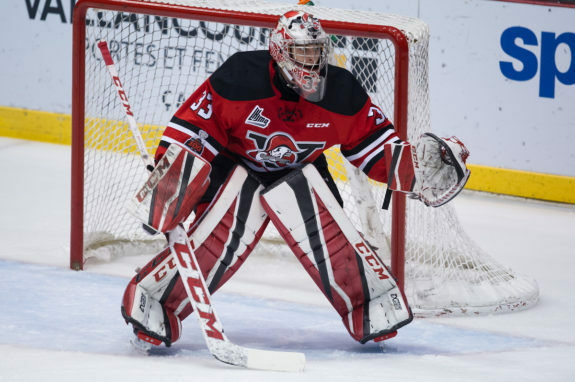 Adding one of Lukas Dostal, Olivier Rodrigue, or Jakub Skarek could pay off down the road in case Kaden Fulcher, Filip Larsson, or Petruzzelli don’t become true NHL goaltenders. Having three third-round picks also gives Holland the opportunity to take a chance on a player who’s fallen in the rankings or an underrated European prospect. Detroit likes to pull from Sweden’s junior league and has found a few gems there, with Larsson and Gustav Nyquist being the most notable. In Larry Fisher’s seventh annual mock draft for The Hockey Writers, he listed a few prominent names as potential third-round picks, including Allan McShane, Sampo Ranta, and Milos Roman. Elsewhere on the web, you can find these players higher up in respectable rankings as well. What this says, is that there are quite a few draft-eligible prospects who fit the second- or third-round build. It’s anyone’s guess where they end up at this point but some of these quality players could fall to Detroit at any point in the third round. There’s also Adam Mascherin, the Florida Panthers’ 2016 second-round pick who will be re-entering this year’s draft. It’s hard to ignore his production (267 points in 197 games across three OHL seasons) even if he is five-foot-nine and a couple years older than the rest of the draft class. In the fourth round and beyond, the Red Wings will use these picks to try to draft some deep-sleepers. Previously, they’ve been able to snag a few gems here, with the most widely recognized being Henrik Zetterberg and Pavel Datsyuk. In recent years, they have found quality players in Axel Holmstrom, Nick Jensen, Alexey Marchenko, and Petr Mrazek later on in the draft. After drafting ten players all over six-feet tall in last year’s draft, it wouldn’t hurt to take a player or two who have been passed over for their small stature. With Cam Atkinson, Johnny Gaudreau, Brad Marchand, and Jonathan Marchessault leading their respective teams, perhaps the Red Wings could snag a similar player late in the draft. Kingston’s Linus Nyman and Kitchener’s Riley Damiani are two names that stand out in this instance. Nyman, in particular, managed to produce 85 points in 67 games and another 16 in 16 playoff games. 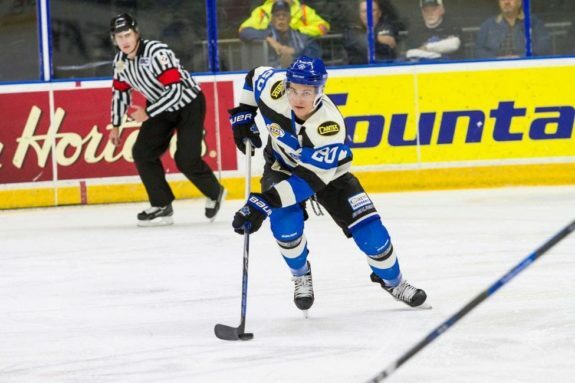 After being passed over in last year’s draft, the five-foot-nine winger had a chip on his shoulder and looks to have the ability to help an NHL team one day. What happens when 31 general managers gather in one place? Trades! If we do anything via trade, it’ll have an impact on what we will be thinking heading into free agency. But regardless of all that, we do want to go to camp and have a spot or two that is there for a young player in our organization to grab. Of those who are available, the most likely Wings to be traded are the ones with the lowest salary cap hits. Until John Tavares, John Carlson, and James van Riemsdyk sign, teams will want to keep as much cap space available as possible. That means bargain-priced Nick Jensen, Luke Glendening, and Xavier Ouellet would likely go before DeKeyser or Ericsson. Andreas Athanasiou could be floated out there if the market is right. Same with Nyquist, but only if some of his salary is retained in a deal. For teams who are already priced out of the Tavares/Carlson sweepstakes, Nyquist with a $2.375 million cap hit for just the upcoming season could be a nice alternative. Then again, Holland picks his spots and if the market isn’t there then he won’t force a swap. Related: Could 2018 Draft Be Start of 1989-Like Red Wings Rebuild? This will be Detroit’s most important draft in a generation. With their stable of picks, the organization has the potential to come away with a fantastic haul and make their abysmal 2017-18 season seem a bit more palatable. It’s time for Holland and his group of scouting and strategists to shine. Which potential Detroit Red Wings draft pick intrigues you the most? Share your thoughts below.